Heerenlaak combines the best of two worlds. This intimate marina is located in the heart of an unspoilt natural landscape and a whiff away from the bustling city of Maaseik. ART CITY MAASEIK: the lively cultural city of Maasland Enjoy its bustling market square, the permanent Van Eyck exhibition, the Museactron and various guided city tours. You can stroll along the many cosy outdoor cafés, shop in beautiful boutiques and indulge yourself with the many gastronomic delights on offer in the Burgundian Maasland. a comfortable camper park to stay in. pay a visit to the Harbour Office or the central administration office. A restaurant is conveniently located in the centre of the domain. With its luxurious camper parks De Spaanjerd and Heerenlaak, Marec is also a 'home port' for campers who appreciate comfort. A second home with all facilities nearby or in the vicinity, which meets the highest quality standards. 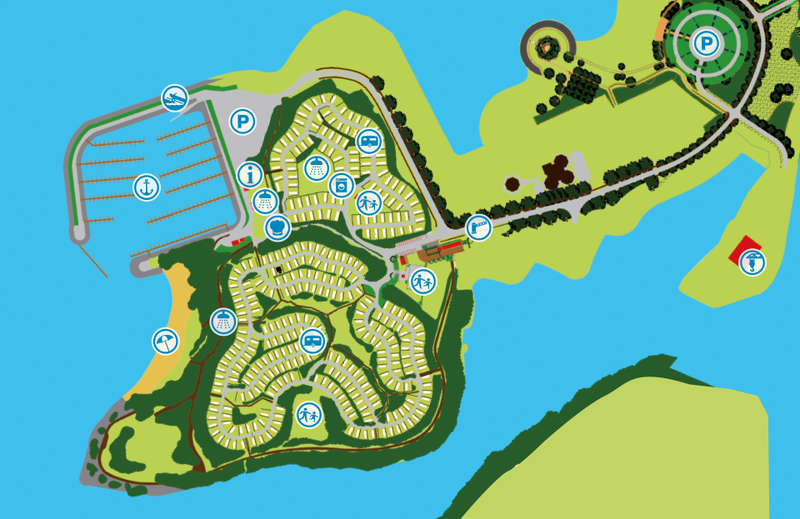 All the spacious pitches are equipped with electric and water connections and sewerage. Pretty hedgerows provide the necessary privacy. Every year since 1996, the two marinas have been the annual recipients of the Blue Flag, a European quality label for environmental management, selective waste collection, information on the environment and nature, and the responsible use of surface water. An environment station is one of the initiatives. 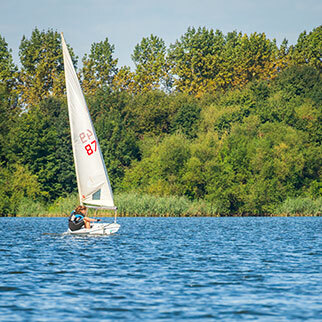 The Blue flag is an international quality label which is issued in Flanders by Goodplanet Belgium and the Foundation for Environmental Education (FEE), and ensures high quality sustainable tourism and recreation at coastal and inland waters. Beaches, swimming ponds, marinas and boats with a Blue Flag distinguisch themselves in terms of awareness and education, water quality, environment and sustainability management, safety, services and accessibility. A Blue Flag labelled operator is committed tot continuous effert, as the quality label needs to be renewed annually. Since 2007, De Spaanjerd and Heerenlaak camper parks have been the proud annual recipients of the Green Key, an eco-label. The Green Key is an international eco-label for environment-friendly tourism businesses. By obtaining the Green Key, the company demonstrates that it is committed to operating in a sustainable manner. Water, energy and waste are handled with care, without sacrificing comfort.